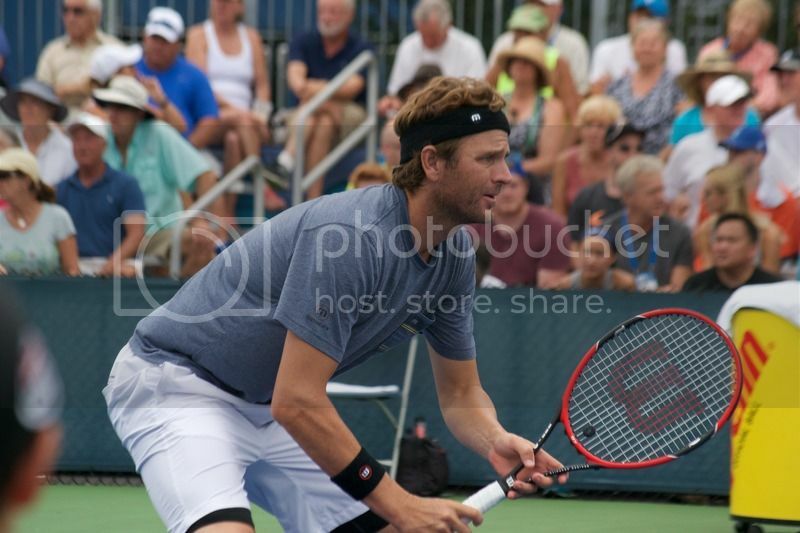 MASON – American Mardy Fish won his first match in two years Monday as he defeated Viktor Troicki 6-2, 6-2 in the opening round of the Western and Southern Open in Mason. Monday’s victory could be Fish’s last. He announced that he will retire following the U.S. Open later this month. Despite a two-year struggle for Fish, he easily dispatched Troicki with nine aces and fending off all three break points he faced. Fish’s win was against a top-20 ranked player in Troicki. That’s quite impressive considering Fish has dropped to No. 705 in the world. Fish likely played his final doubles match ever as he paired with Tomas Berdych and lost their doubles contest to Raven Klaasen and Rajeev Ram 7-6, 6-4. Fish said Monday he will not play doubles at the US Open. Fish is an eight-time winner on the ATP Tour. His most prominent win on Tour was in 2009 when he defeated fellow American Andy Roddick at the ATP Maters event at Indian Wells. Fish has won over $7 million in prize money on Tour. But it is all coming to an end for Fish in a matter of weeks. For Fish to continue on at the WS Open, he’ll have a tough challenge facing second-ranked Andy Murray, who is coming off a victory at the Rogers Cup in Montreal last week. The upset of the day belonged to qualifier Yaroslava Shvedova as she upset ninth-ranked Garbine Muguruza 6-4, 7-6 after a pair of rain delays during their second set. The first delay lasted nearly an hour as a strong storm passed over the Linder Family Tennis Complex. After the sun came out briefly and the players returned to play parts of the second set, a second shower was just enough to force the players to retreat. After the second delay, Shvedova forced a tiebreak by winning her final service game before winning all seven points in the second-set tiebreak. It was Shvedova’s biggest win since she defeated Na Li in the 2012 French Open. 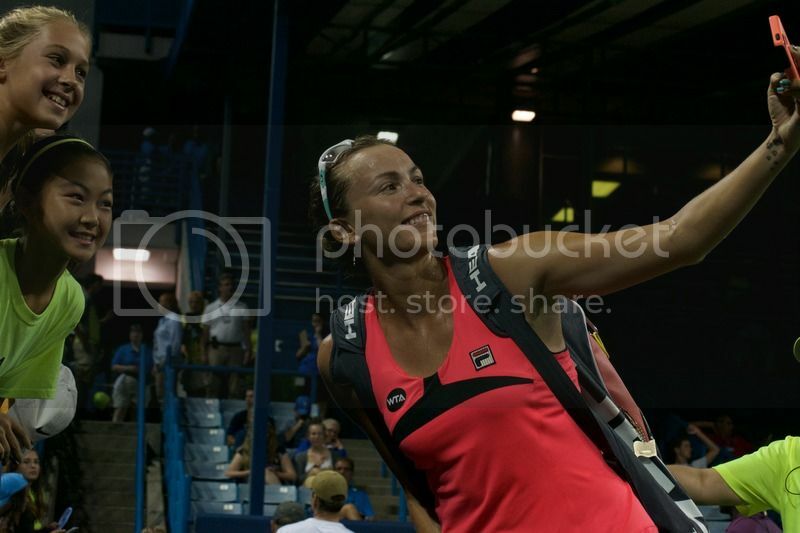 “I stayed loose by eating apples and oranges,” Shvedova said about waiting out the rain delay. Venus Williams faced a tough challenge from Zarina Diyas Monday on center court, but fought off the 21-year-old with a 7-6, 6-4 victory. Williams is hoping to use the WS Open as a springboard for the US Open. Williams, a seven-time Grand Slam winner, reached the quarterfinals of a Grand Slam event this year at the Australian Open for the first time in five years.